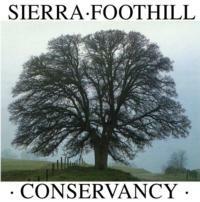 Sierra Foothill Conservancy (SFC) is a dynamic leader for local land conservation and science-based land management. Through land owner partnerships, community initiatives, and innovative solutions, SFC conserves land and resources for the benefit of all Californians. Stewardship and land protection are integral to our mission, and to ensure we cultivate a value of the lands we protect and of the work we do, SFC must also educate others on the importance of the work that lies ahead. One way to accomplish this is to connect people to unique local landscapes and help develop personal and meaningful experiences. With this in mind, SFC is excited to be able to offer the UC California Naturalist course. This statewide education and service program is designed to engage a diverse public in the study and stewardship of California’s natural communities. The premise is to help participants develop naturalist skills as a means of promoting the stewardship of California’s shrinking habitats. With amazing instructors and guest speakers, cohorts are guided through an intensive experience that takes a focus on Central Valley features. The California Naturalist certification process involves a capstone volunteer project and utilization of the iNaturalist application. The rich science based curriculum is supported by hands-on field experiences that help capture the essence of the program. Upon completion, participants are certified as California Naturalists, a committed corps of volunteer naturalists and citizen scientists ready to take an active role in local natural resource conservation, education, and restoration. 2020 Course Schedule TBA. Course is offered every other year. Cost: $375 for members, and $425 for non-members (includes annual membership). Contact: For further inquiry please contact instructor Allyson Brooks at allyson@sierrafoothill.org or (209) 742-5556.